Nearly a quarter of all state-funded schools in England are Anglican, accounting for over one million children. Whilst all of these schools are free to teach religious education from a faith-based perspective, and can of course enforce daily Christian collective worship, their ability to discriminate on the grounds of religion in their admissions and employment policies varies depending on the type of school and the nature of their governance. However, many of the schools do discriminate in this way. Given their prevalence, in many parts of England, and particularly in rural areas, a Church of England school is often the only feasible option for local families, meaning that minority religious or non-religious parents can have little option but to send their children to a school which espouses a religious ethos different to their own. I’m a vicar and the governor of a church school. And I know that faith schools are wrong. It may sound like a ‘turkey voting for Christmas’ when I write as the Vicar of 6 Church of England parishes, and as the ex-officio governor of 3 church primary schools, to say that I believe that the government is approaching the issue of faith schools from the wrong end. This government should be showing leadership rather than playing to the perceived wishes of a possibly influential lobby: that is the communities of faith in the UK. In the interest of providing a broad, inclusive curriculum delivered to all pupils and in order to further develop integration (and not fragmentation) in a multi-cultural society ALL faith schools should be run by government (be it local or national). Faith schools are an anachronistic hangover from the days when the provision of elementary education was largely dependent upon the initiatives from, initially, the Church of England (as the Established Church) in the days before state funded education. The 1944 Education Act cemented the role of faith schools (Anglican, Catholic and Jewish) principally because of the economic cost of ‘buying’ back into state ownership the buildings and land on which faith schools stood. With the arrival of significant numbers from other faith groups, it was felt, in the interest of equity, that these groups too could open there own faith schools. This principal was also applied to other Christian groups. And so of the 20,000 (approx.) schools in England almost one third are faith schools, be they Church of England, Methodist, CofE/Methodist, CofE/Methodist/United Reform Church/Baptist, CofE/Free Church, Roman Catholic, CofE/RC, Greek Orthodox, Hindu, Jewish, Muslim, Quaker, Seventh Day Adventist, Sikh, or Reformed Church. There is so little that unifies us as citizens of a common nation that fragmenting the education system still further does not seem that wise to me. How can young people learn to experience the richness of different traditions (including Humanism) if they do not grow up together? The reality of Faith Schools is that it is extremely unlikely that religious families, of whatever tradition, would choose for their child a school of an alternative Faith tradition; and if secular families are unwilling to choose Anglican Schools for their child what chance is there that they would be happy with one of the other Faith Schools? The upshot is that Faith Schools, particularly in towns and cities, will become more and more SINGLE Faith Schools. The result then becomes more and more narrowing, rather than broadening, of the educational experience. I would argue that to live, work, and grow up amongst a wide variety of traditions will build closer ties between different communities, build bonds and break down barriers of misunderstanding that can lead to pigeon holing, prejudice, and bigotry. (Just a brief look at the educational experience of Northern Ireland in the last century illustrates the dangers that can result from exclusive single faith schools.) The removal of this faith impediment in education can only strengthen the common bonds that unite us as citizens of the United Kingdom and help reinforce those values that that lie at the heart of our shared culture. In promoting the increase in the number of Faith School politicians argue that such schools tend to produce better results. A major factor for this is that the selection processes for entry into those Faith Schools rated as good or outstanding, particularly in cities, seem to have been purpose built to favour ambitious middle class parents. There are Faith Schools in this country occupying sites in deprived neighbourhoods where the majority of the pupils come in from outside, attracted by the ‘quality’ of education, while those who live nearest are excluded from their local school and have to travel to schools further afield because their parents are not so adept at ‘playing’ the application process. Should a government apparently committed to improving opportunities for all really be increasing opportunities to discriminate against the most disadvantaged in our society? For me, Christianity is a religion that has grown out of a tradition of speaking ‘Truth to Power’; that is confronting those in power with the implications of their actions regardless of cost. Jesus was the ultimate example of this and paid for his outspokenness with his life. Throughout its history the Church has been potent in bringing about change (e.g. in the last 200 years: slavery (although it is important to note that in 1807 all the Bishops in the House of Lords voted in favour of the slave trade), civil rights, female emancipation, opposition to homophobia when, initially, the voices of a few spoke out against the majority closely allied to custom and the institutions of power and oppression. Should a religion proclaiming that true freedom is found in the weakness of the child born in the stable who grew up to be crucified on the cross continue to side with the exercise of power and the reward of privilege as represented in our Faith Schools? If the Church is to imitate Jesus and many great men and women of our tradition it must be willing to step back from its seat at the tables of power, be it Faith Schools or the right to automatic membership of the House of Lords, and call for justice and equity across the whole of society, including in the education system, from outside. The efficacy of its witness has to be based on its truth and authenticity and not on an unhealthy historical association with power. We need schools where children of all faiths and none can live and learn alongside one another in an atmosphere of tolerance, love and respect. These are the core values of all religions and ethical systems as well as being the values that our society should be doing all in its power to instil in its young people. Unity of opportunity and not fragmentation has to be the way forward. Rather than pandering to the views of the vociferous few from within each faith community, the government should put the needs of the wider community first and set in motion plans that will see the removal of all faith schools, bringing them back under common, secular control. Vicar of the Lower Stour and Bridge Benefices, Dorset; comprising of the villages of Blandford St Mary, Charlton Marshall, Spetisbury, Shapwick, Sturminster Marshall and Kingston Lacy. 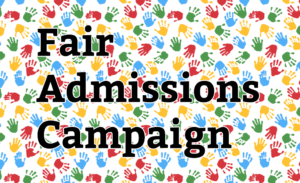 Every year, hundreds of thousands parents find themselves unable to get their children into their local schools due to the religiously-selective admissions criteria that many of them employ. On its own, this is little more than state-funded religious discrimination, but it also has the corollary effect of unfairly limiting the choice of vast swathes of the population who are either of the ‘wrong’ religion, or who aren’t religious at all. Of course, this can be more of a problem in some areas than it is in others. Unwilling to do the same, she was forced to apply for a place at a school with no religious character further away from home and, in her own words, ‘cross my fingers, expecting to spend 2012/3 in appeals’. As it currently stands therefore, the system rewards parents who lie about their religion in order to get their children into school, with a recent poll suggesting that as many as 36% of parents have done this or would be willing to. Conversely, the system penalises and drastically limits the choice of parents who rightly feel uncomfortable with this. As this particular mother put it, ‘my child should not be penalised and put at the bottom of a long, long list just because his parents don’t have a particular belief. This just seems all so, so wrong’. 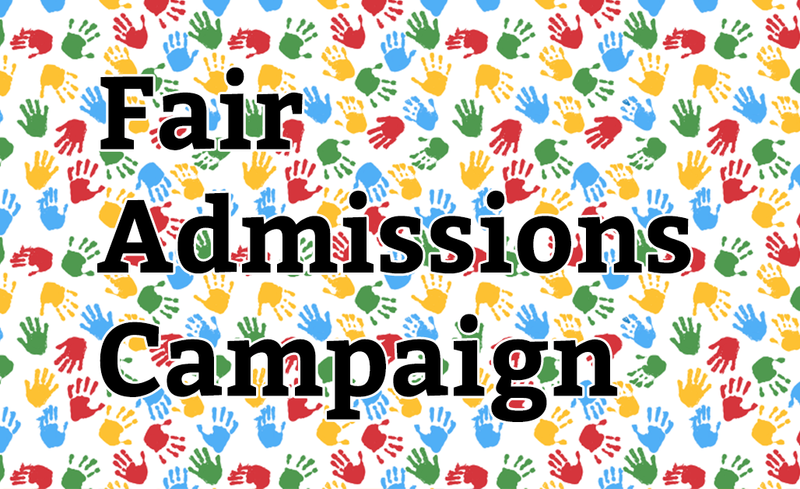 A version of this blog post first appeared on the Fair Admissions Campaign website in July 2015.